The winner of the Karen Burt Award 2017 has been announced by the Women's Engineering Society as the candidate nominated by the Institution of Chemical Engineers, Madeleine Jones of Sellafield. This prestigious annual award for a newly chartered woman engineer, now in its 19th year, recognises the candidate's excellence and potential in the practice of engineering, highlights the importance of Chartered status, as well as offering recognition to contributions made by the candidate to the promotion of the engineering profession. 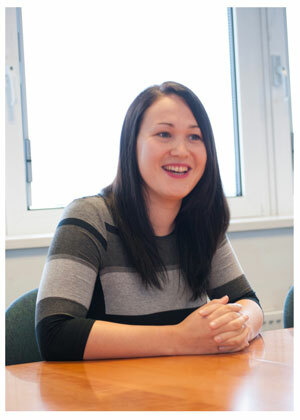 Madeleine Jones is currently Deputy Operations Manager, Legacy Ponds & Silos for Sellafield. Jacob Ohrvik-Stott, Policy Officer (Diversity and Inclusion) at the Institution of Chemical Engineers said: "As an organisation committed to championing the role of women in engineering IChemE is delighted that Madeleine's achievements have been recognised with the Karen Burt Award. Her outstanding work with the IChemE North West Member group and beyond shows the invaluable contributions our members make to IChemE and the engineering sector. On behalf of IChemE I congratulate her on this well-deserved award." Four other prizes will also be presented at the awards ceremony, including the inaugural Men as Allies Award. The winner was Will Whittow, Senior Lecturer in Electronic Material Integration, Loughborough University. With men holding the majority of roles within engineering and applied sciences, it is crucial that they are involved making the cultural changes needed to attract and retain women in engineering and applied sciences. The WES Men as Allies Award, new for 2017, seeks to celebrate a male engineer, or professional male working within the engineering, technical and applied sciences sectors, who has gone above the call of duty to support his female colleagues, and address the gender imbalance within engineering and applied sciences in general. The Gillian Skinner Award 2017 was awarded to Jo Douglas and Adriana Vargas and the winners of Isabel Hardwich Medal 2017 were Milada Williams and Linda Maynard. All four are very active members of WES and the awards are in recognition of their huge voluntary contributions to the organisation. Who run the engineering world? Girls!